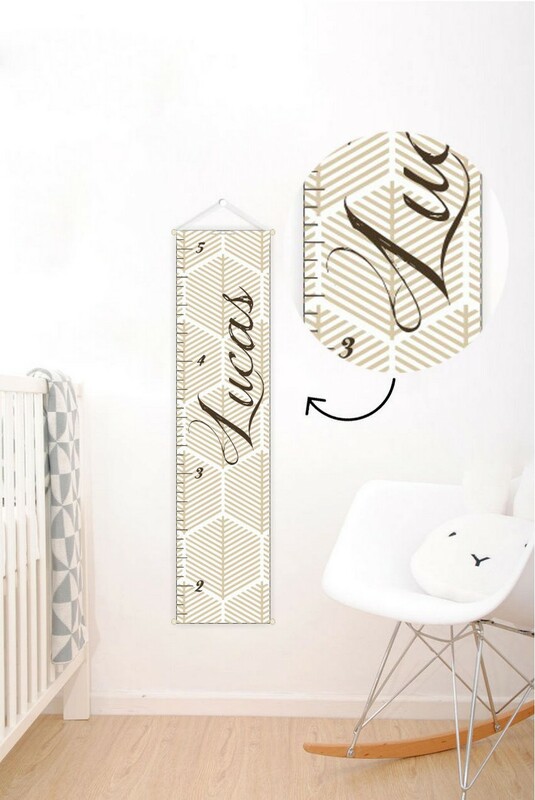 A great statement piece for any wall in your home or office, the Neutral Personalised Baby Growth Chart will make measuring your kid’s height fun and interesting. This height chart makes a lovely addition to a child’s bedroom, playroom or nursery. It could also be hung in a family room so these very important measurements have pride of place for all to see. Whether they want to see if they’re bigger than a yeti or tall enough to be an astronaut for NASA, family members, and guests, no matter what their age or size are sure to get a kick out of it too. It’s a great talking point for kids bedrooms and the perfect way to measure their growth whilst increasing their curiosity about the world we live in. By personalising with a family name (rather than the child’s), it can still be enjoyed if further new additions arrive later on. A fun kids height ruler to record the growth and height of your whole family. It’s easy to install and a very creative way to add personality and colour to any blank wall, window or other smooth surfaces. 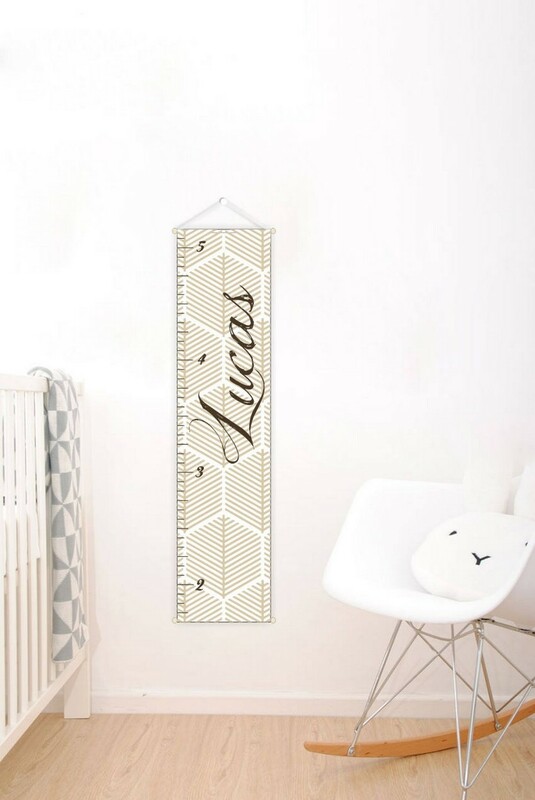 This children’s growth chart also makes a great decorative accessory. It can be applied to any clean, smooth surface – walls, doors, mirrors, furniture the list is endless! Add a name to make it a keepsake. Care Instructions: Dust with a soft, dry cloth. We deliver to any address in European countries free of charge. Deliveries are usually by courier to your door, so they need to be signed for, although we may send smaller items by Postal Mail. Please inform us of any breakages or missing items within 24 hours of receiving your delivery. If you wish to return an item(s), please let us know within 10 calendar days of receipt. Items must then be returned without delay in the original packaging and in a fully saleable condition. Once we’ve received and checked the item, we’ll refund the purchase price or exchange it. All customised orders cannot be returned as they have been personalised for your order and cannot be used for future orders. We reserve the right to refuse refunds on items returned after 10 calendar days, or to make a re-stocking charge of up 40% of the original purchase price. We also reserve the right to refuse a refund if you return a product that’s not in a fully re-saleable condition. You are liable for all postage costs and breakages incurred during the return delivery. For further information click here or contact Customer Services.